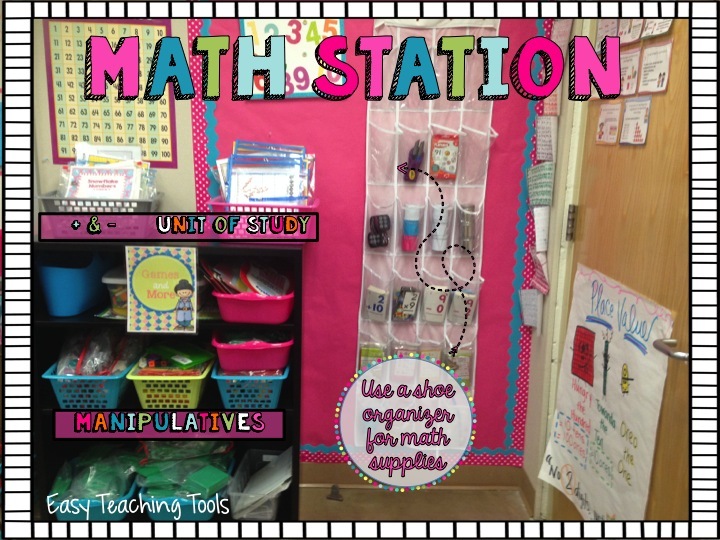 I created a Math Station area where all of our manipulatives, tools, and games are stored. 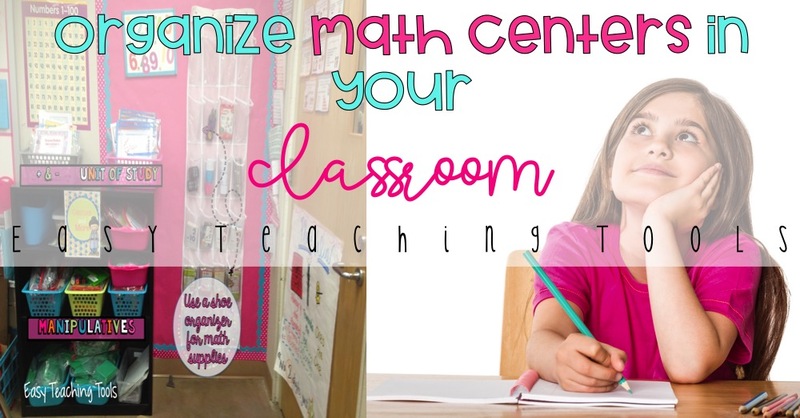 You can organize math centers, too! It’s great because when students are finished in my class, they know to leave the assignment on their desk since we’ll be grading it together as a class, and go work on something from the Math Station. If you have everything set up, and they can grab what they need. Why give your early finishers extra work?!?! What incentive is there to get your work done when you’re just given another worksheet? How boring, right (I’m totally guilty though)! A few years ago when I was teaching a combo, I had to get really good at having activities and centers ready for my kiddos who were done because I couldn’t have my 1st graders interrupting a lesson that I was teaching my 2nd graders. You can use a shoe organizer to hang all of the items students use on a regular basis. We store dice, paper clips for spinner games, dry erase markers, flash cards, and anything else I can think of! 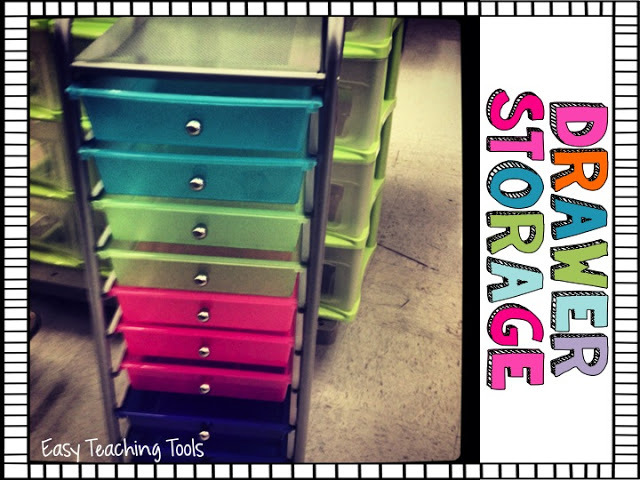 All of the manipulatives can be stored on a shelf for easy student access. I believe it’s important for students to be able to grab what they need! On top of the shelf, I store the math games. The basket on the left has addition and subtraction games since it’s a year long standard in our district. The basket on the right has games that reinforces our current unit of study and a few games for spiral review. Laminate your games to use them for years to come. 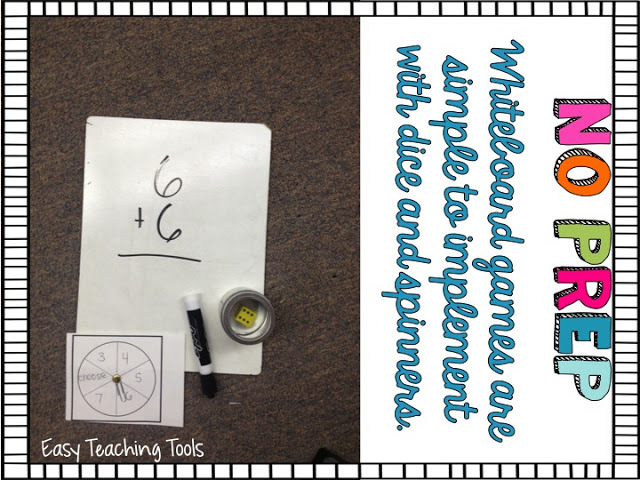 I love to store all of our math games in dry erase sleeves because they’re sturdy and last a while! You can even try these drawers for math center storage if space is limited. I bought baskets at Big Lots a few years ago and they work well. 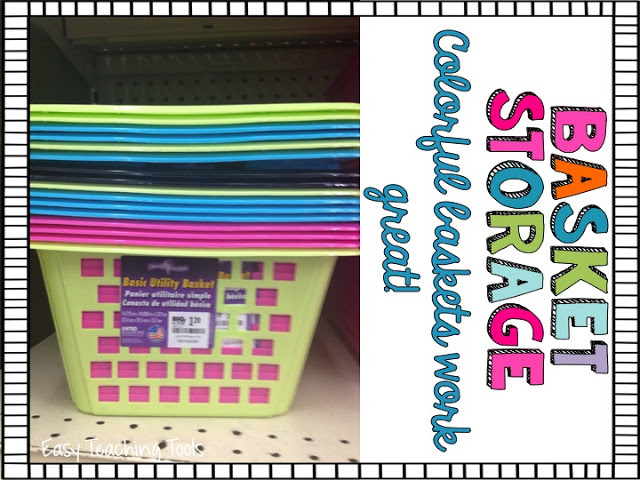 I also love the baskets from Dollar Tree and they’re never out of stock! 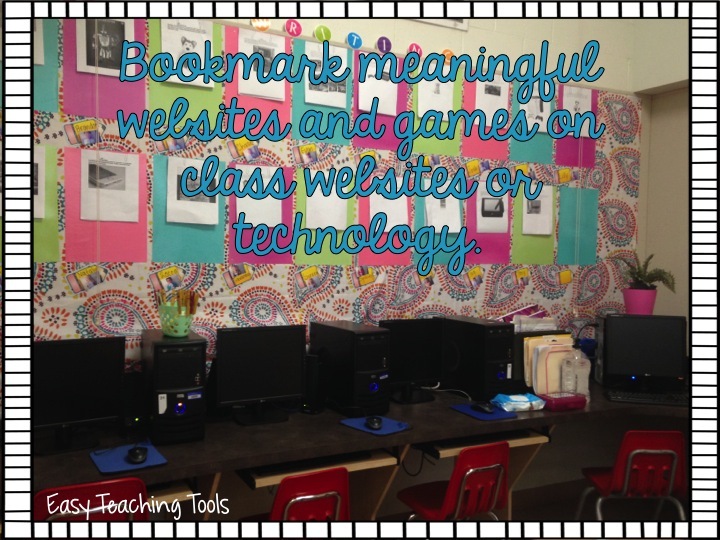 I like to include games that reinforce skills we’re learning. 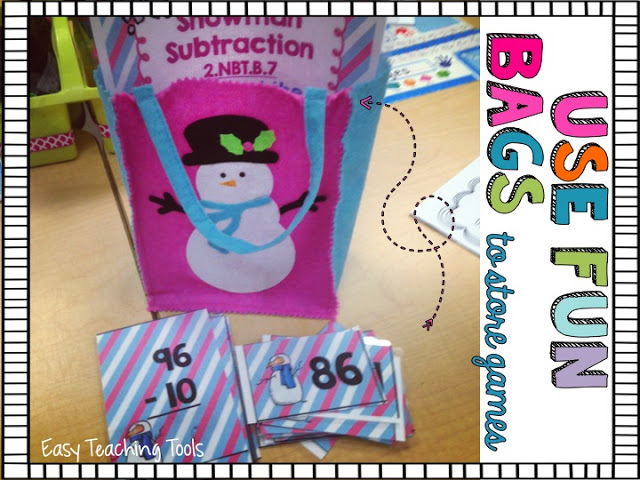 Just pop it in a fun thematic bag and ta-da, a fun center! It’s important to include different types of games to reach all of your learners. 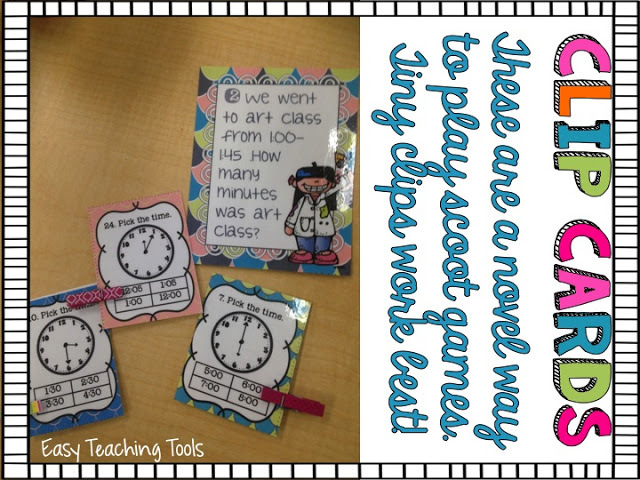 My kiddos love clip cards because it’s novel and they think mini clips are absolutely adorable. See, I’m wearing off on them! 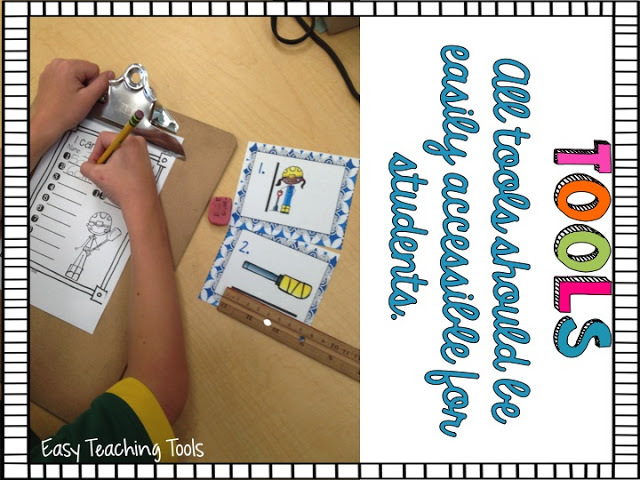 Be sure to include interactive games where all students are participating, most of the time. Another activity for your speedy friends is anything on the computer. Our school uses Ten Marks and Dream Box to reinforce math skills. If your school doesn’t have a site license to a program, bookmark some great sites. I love Sheppard Software and Prodigy! Plus, they’re free and fun! Score! 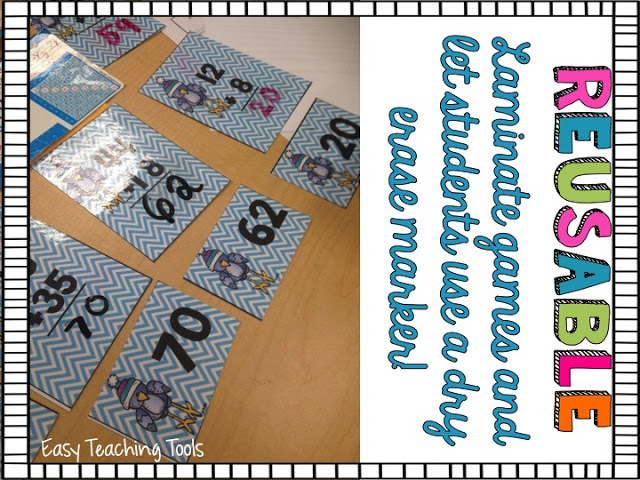 In addition to computers, my students love these games that can be played on our smart board or iPad. One of my favorite things to do in the class is have students play games on their whiteboards that take absolutely zero prep! Just teach them a few and they’re good-to-go! Don’t have whiteboards, get a class set for under 15 bucks. I’ll show you how! I hope these tips are helpful for you and can’t wait to hear how you use them to engage your kids! 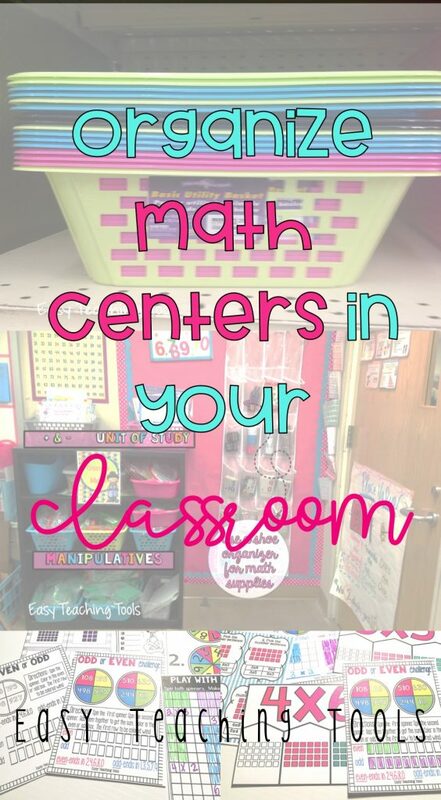 I love the idea of using a shoe organizer to store flashcards and math games! I was in search of things for my early finishers and this post was perfect! And I am soooo jealous of all of your computers! Perfect timing Jennifer, I'm so glad! Thanks for the math website suggestion, I'll be checking it out for my early finishers! I'm so glad they were useful! Where did you get the time clips game!?! Thanks for asking. 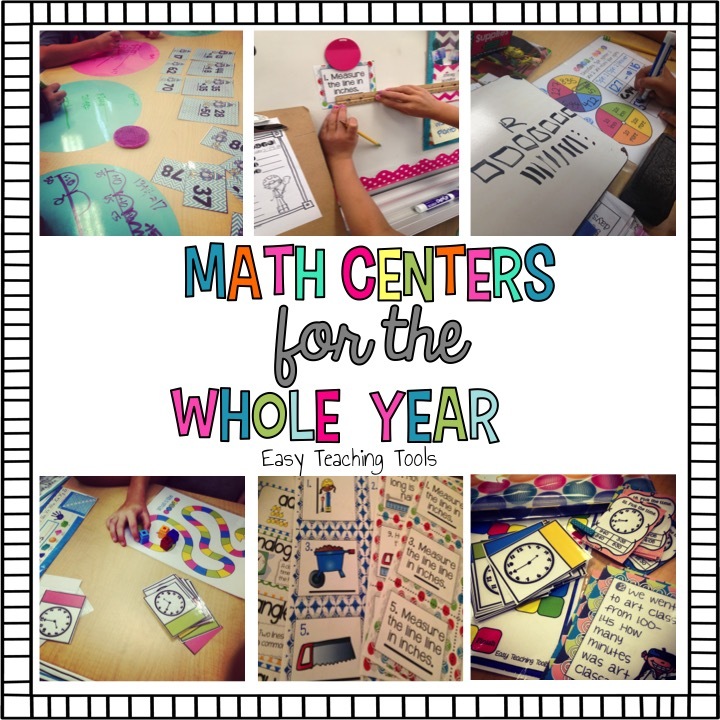 You can find them, along with other Math Centers in my store!